Sean and I made the beautiful drive down to New England last Thursday for a long weekend of film festing in Portsmouth, New Hampshire. We also made a frenetic drive back on Sunday in order to cover a local happening (The Monster Pool Horror Anthology – review coming soon) last night and because today is election day here in Canada, and there’s no way we were missing that. 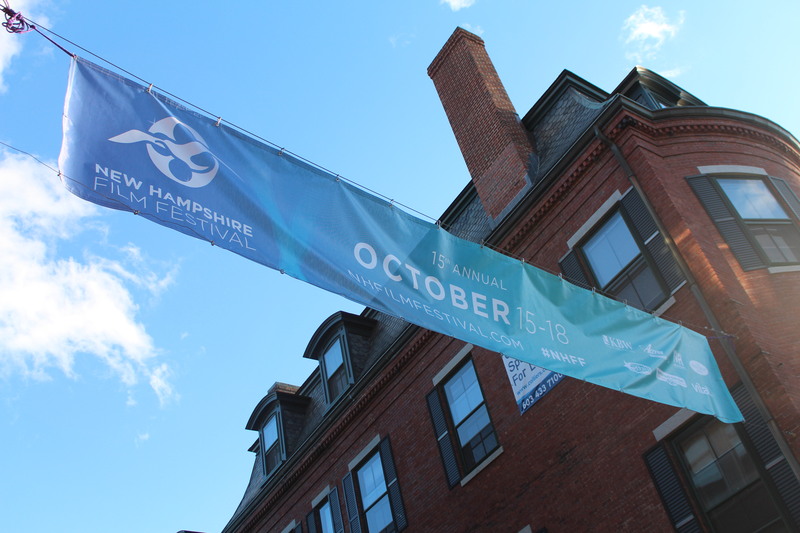 I’m finding that our coverage of the New Hampshire Film Festival is going to read a lot like a love letter to the city of Portsmouth. Home to about 21 000 residents, it’s bursting with historical charm and significance. And I mean it’s just sick with quaintness. 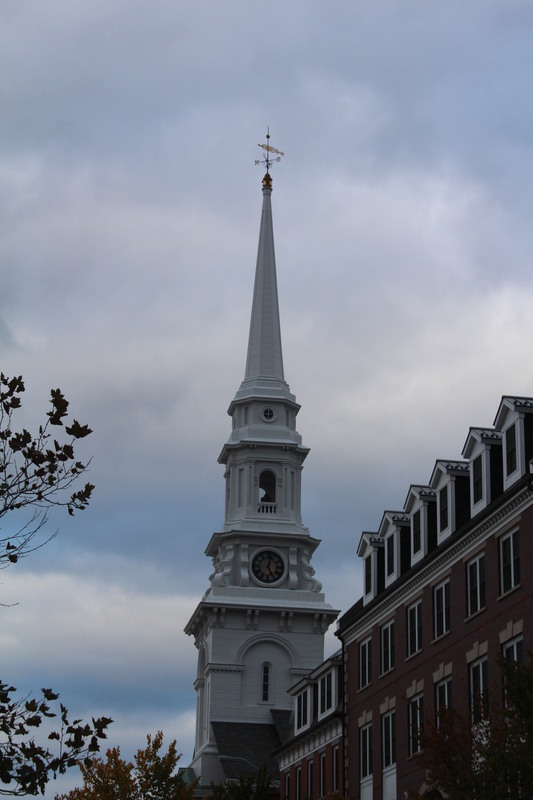 The downtown is distinctive and beautiful and eminently walkable. It feels cared for. And I suppose this is what has distinguished the New Hampshire Film Festival for me: it has a real sense of community. Don’t get me wrong, it’s attracting plenty of outside and international interest as well, and I think that trend will only continue as this little festival is landing some pretty major films. But each screening was attended by many locals who clearly took pride in this festival. We were greeted warmly everywhere we went. The volunteers were friendly. 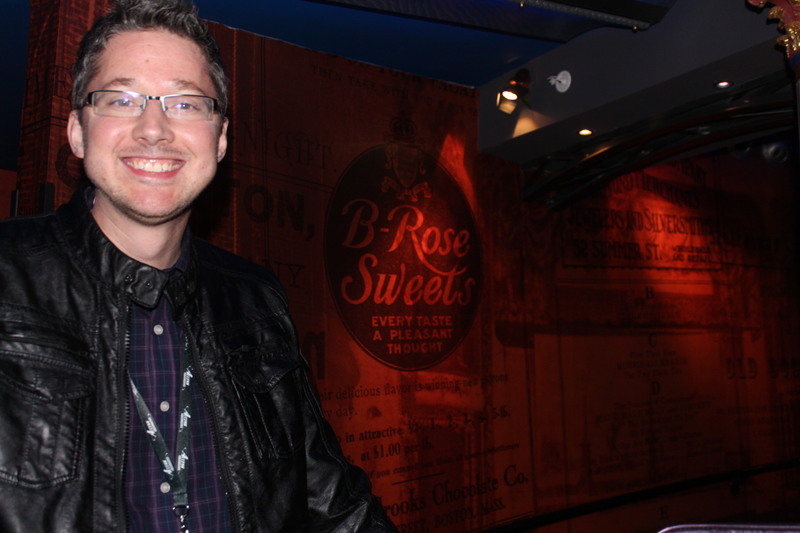 And though we found this festival to be well-organized and well-run, there was this pervasive feel of the insouciant. This is the laid-back film festival, perhaps a tribute to the unflappable New Englanders who have done an impressive job of making this look easy – and I tell you now, it is not. But the wrinkles, if there were any, were invisible. Portsmouth bustles with tourists in the summer, but I think she may look her best in the autumn. Its historic seaport still sparkles, but I loved seeing leaves on the grounds of architectural highlights, including Colonial, Georgian, and Federal style homes. The city is replete with fall colours and decorative touches – it starts to feel like the set of an idyllic small-town, except when you sit down to eat, at which point it tastes like the very best of big-city eating. The seafood. 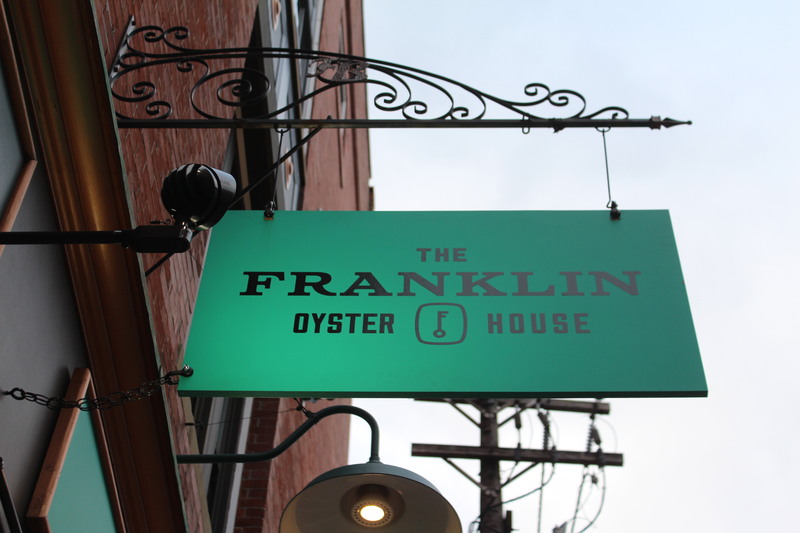 We sampled local oysters from Franklin‘s, scallops from The District, and the best-ever clam chowder from Robert’s Maine Grill (Kittery, Maine being 2 minutes across the river). And don’t get me started on the lobster rolls. The movies at this point were incidental – this trip was already a culinary and sight-seeing success. Okay, I’m lying. The movies are never unimportant. We’re Assholes: it’s what we do and why we came. We’ll get to those. 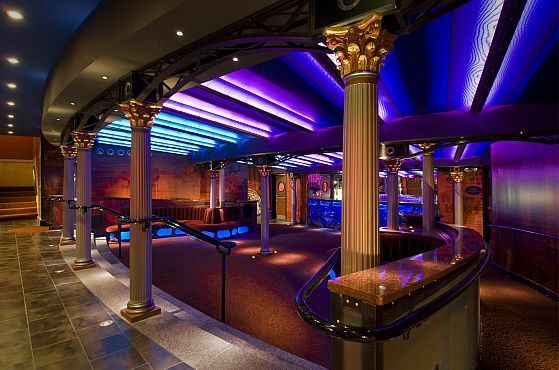 First, though, the venues. We rolled up to Discover Portsmouth Center first, a visitor center (this is me taking pains to spell centre the American way) extraordinaire. It’s a gallery, a gift shop, a museum, a gateway to the Black Heritage Trail – really the cultural heart of the city (which seems to have attractions worthy of a city many times its size), and also serves as the vital headquarters of the New Hampshire Film Festival, which is how it got to host a meet and greet with John Michael Higgins and Jimmy Dunn. Both of these fellows are New Englanders; Jimmy Dunn you’ll know as a stand-up comedian who also appeared on the sitcom The McCarthys, as Joey McIntyre’s (fraternal) twin brother. John Michael Higgins, as we’ve already covered, is an absolute favourite of mine because of his fantastic character s in many of Christopher Guest’s best (like Best In Show), but this guy gets hired for everything, from Pitch Perfect 2 to Broadway plays, to roughly half of all running sitcoms, including Arrested Development and Happily Divorced. More on them later (they were part of a lively and crazy-quotable comedy panel alongside Tom Bergeron and Juston McKinney). So, here we are: a thousand words about the New Hampshire Film Festival, and still not a single movie review. It’s your fault, Portsmouth, for being a unique place to discover and enjoy in your own right. You don’t need a film festival to earn tourists, but I’m sure as heck glad you have one, because not only were we impressed by your lineup this year, we can’t wait to come back and do it again in 2016. 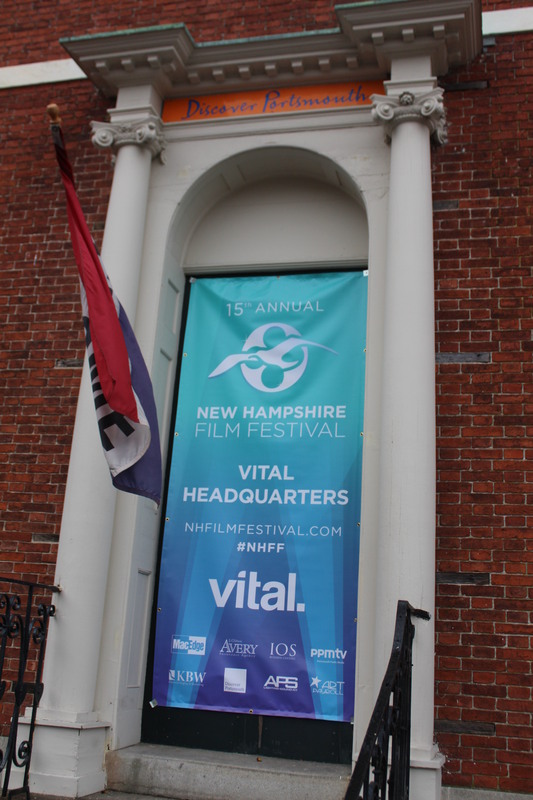 Check back for more coverage of NHFF including the comedy panel and the red carpet, and for reviews for each of the films. This entry was posted in Rants, Raves and Righteousness and tagged john michael higgins, nhff on October 19, 2015 by Jay. OH thanks. I usually take better photos but we were really in movie mode and not so much stop and take lovely photos mode – I wish I had more! Great post, Jay! Portsmouth was a beautiful city, and the washrooms at the Music Hall were without a doubt the best I’ve ever seen! And really, the whole town lived up to the high standard set by those beautiful toilets. I know! They have red velvet-covered banquettes for cripes sakes! Not at all what I was expecting to read, but this is a very fun post. 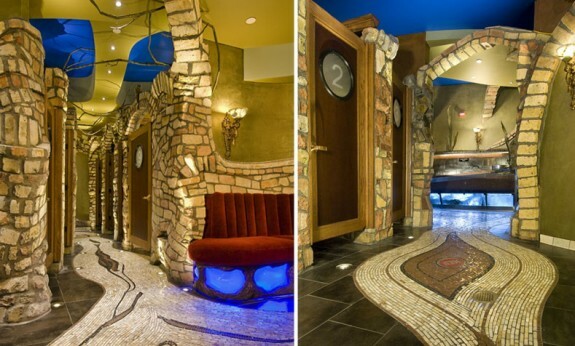 I’ve got to see those restrooms, now! I think we should get a road trip going to visit all those nominated bathrooms ! Thanks so much! We enjoyed our trip, and fell in love with the festival. Great shots. Interesting festival, eh! I’m glad you loved the festival so much! Aw, thank you. Places like this sell themselves though! I can’t think of anything off the top of my head but I know the poet Donald Hall has written very lovingly of New Hampshire, and I believe for a time he was the state’s Poet Laureate (in addition to serving as Poet Laureate of the United States). And with good reason. I’ve been through New Hampshire but never really stopped there. It sounds like the clam chowder alone was reason for a visit. Not only the clam chowder, the food in general was wonderful and worth the trip by itself, and of course we took advantage of all the seafood options every chance we got! I’d never had clam chowder at all until maybe 2 years ago. We went to Boston in the fall to see a Patriots game and had dinner at the America’s oldest restaurant. I felt compelled to try chowder while in the area, and discovered that I’d shied away from it for no reason at all. Jay, you are going to have to start a “Cool Places” category for your blog! 🙂 Really, Portsmouth sounds like such a beautiful place. Thanks for sharing with us. We know we’re very lucky!